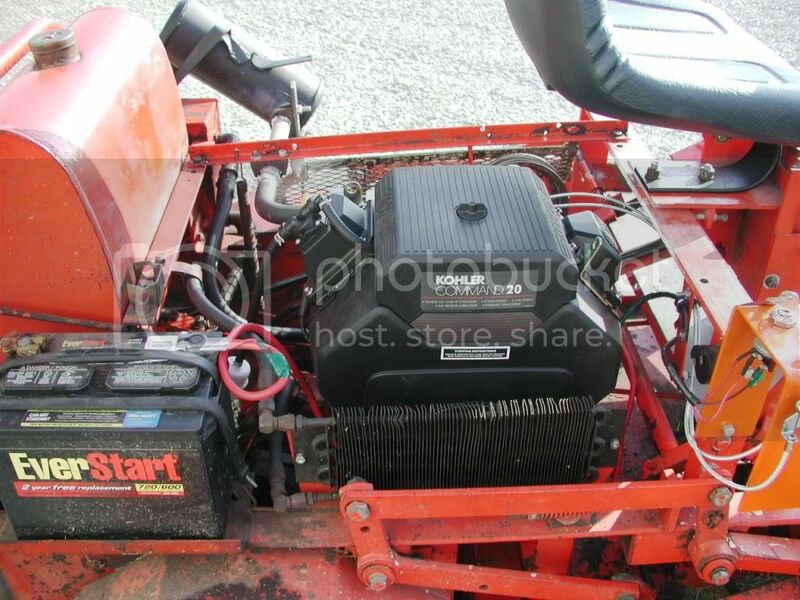 The Restoration and upgrades of a Jacobsen Commercial 60/72 mower. 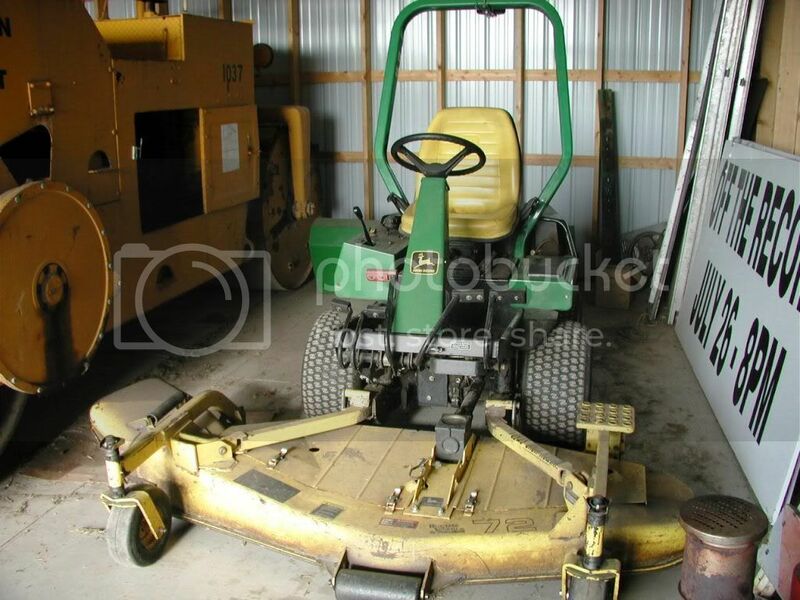 The Shiocton Airport (WI) acquired this Jacobsen mower many years ago in a trade for a Farmall 'H' tractor and a pull-type mower. For many years, it looked like we may have gotten the bad end of a deal. This mower sat around mostly unused and unloved. 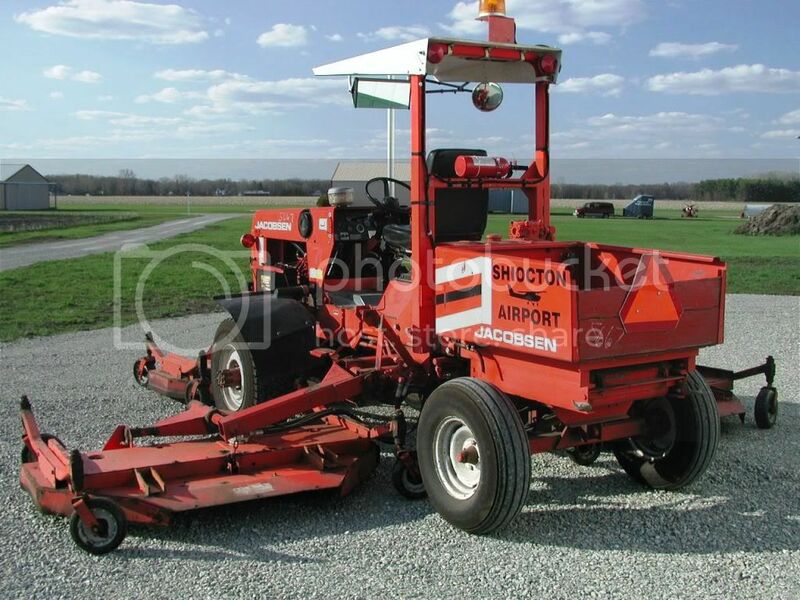 The airport also runs a Jacobsen HR15 to mow mainly the runways and everything else that we own on the flat & level and a John Deere F911 mower for the trim work and ditches. We mow 40ish acres altogether. Shiocton being what it is and where it is, the springs are much too wet to be on any of the runways with the Jacobsen HR15 (hereby also refered to as 'Big Jake') and so the John Deere had done the great bulk of the early season mowing with this Jacobsen Commercial mower (hereby also referred to as 'Little Jake') really only getting out when the John Deere needed help with either muddy conditions or overly-long grass. And so... as the years went by, the original engine in Little Jake started getting very tired, was overhauled and was just never the same afterwards. So, a decision was made and a new Kohler Command 20 engine was installed in 2009. By the spring of 2012, it was apparent that the deck needed to come off the mower and get some work done to it. The mower's hydrostatic system was also a leaking mess. What started as a simple deck re-build evolved into the total and complete disassembly of the mower into its individual components. After disassembly, everything was stripped of some 50-odd years of grime and paint, primered and repainted with Chevy orange engine enamel for durability. 1) The deck was overhauled, re-welded, a metal strip added to the front edge of the deck to stiffen it, caster wheels added to control mower height and some diamond plate covers made and added over the top of the pulleys. 2) A hydraulic cylinder was added to raise/lower the deck. The lift system was engineered to either hold the deck up at any height or to allow the deck to fully ride on the caster wheels in a full 'floating' mode. 3) An auxiliary hydraulic pump was installed to supply oil for the hydraulic system as the hydrostatic system didn't have quite enough 'oomph' to do the job. 4) A gauge/hydraulic/engine control/pod was mounted to the right of the operator's position. Among other things, the forward/reverse pedal was moved a few inches closer to the seat for those of us with shorter legs, new hydrostatic lines/hoses and fittings where needed and the braking system was re-newed. Content copyright . thephoenixarises.com. All rights reserved.